Yeah, that’s the full name, and with that the company announced a hand-forged axe that Stroud himself designed. The company, Wetterlings of Sweden, is the oldest axe factory in the country, founded in 1880. Its workers pound, forge, and press axe heads in an old-school way. 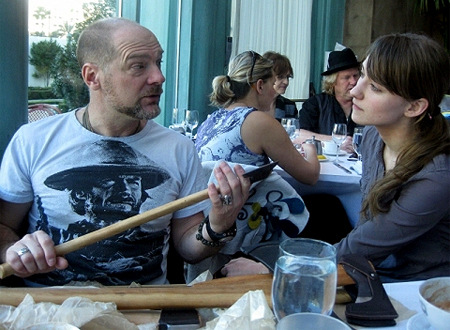 Stroud said he has used Wetterlings’ axes for years. His custom design with the company is “both an axe and a hammer,” including a wedge-shape head and a long, broad blade. 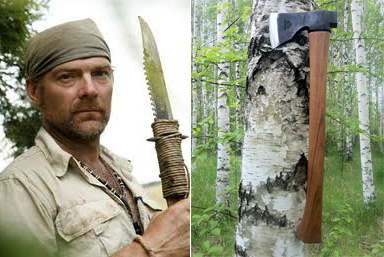 On the Survivorman axe there’s a blunt hammer on the back of the steel head. A hickory handle is long enough for two-handed swinging in times where tough “wood splitting and felling” is needed, as Stroud cites. The Bushman axe comes to market this fall. In the U.S. and Canada it’ll be distributed by Hansa LLC for an as of yet undetermined price. The axe comes on the heels of Stroud’s Signature Knife, the Temagami, made by Helle. The knife costs $180. Watch Stroud’s blog for potential updates and, if lucky, perhaps a glimpse of Survivorman himself employing the axe in the bush, felling a tree for shelter of hammering in stakes in yet another effort to meet nature head-on and survive.